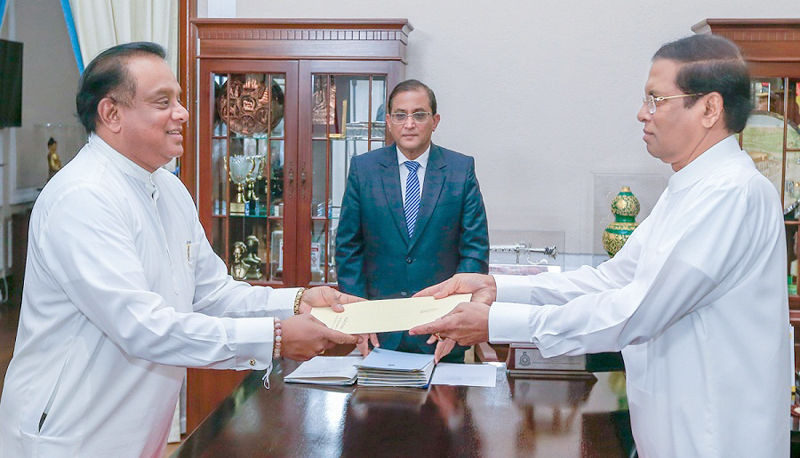 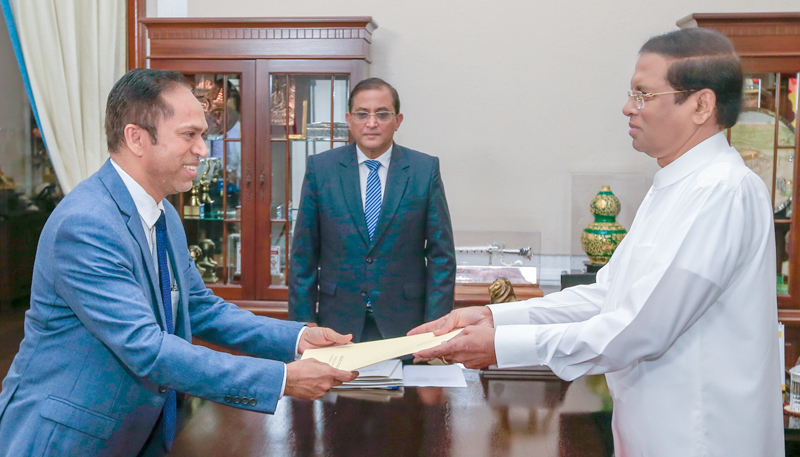 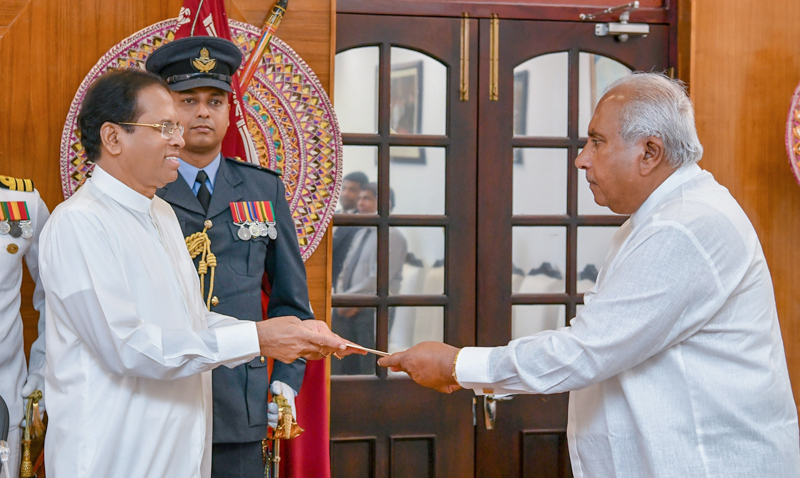 Several Cabinet Ministers were sworn in before President Maithripala Sirisena at the Presidential Secretariat yesterday. 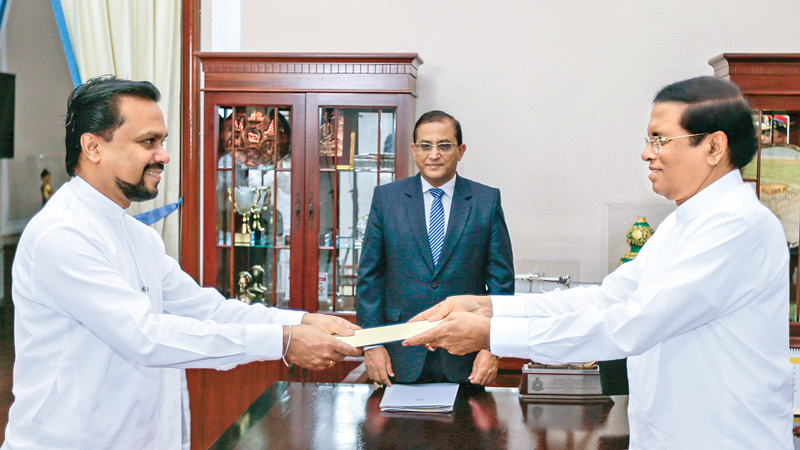 They are M.L.A.M Hizbullah (City Planning and Water Supply), C.B. 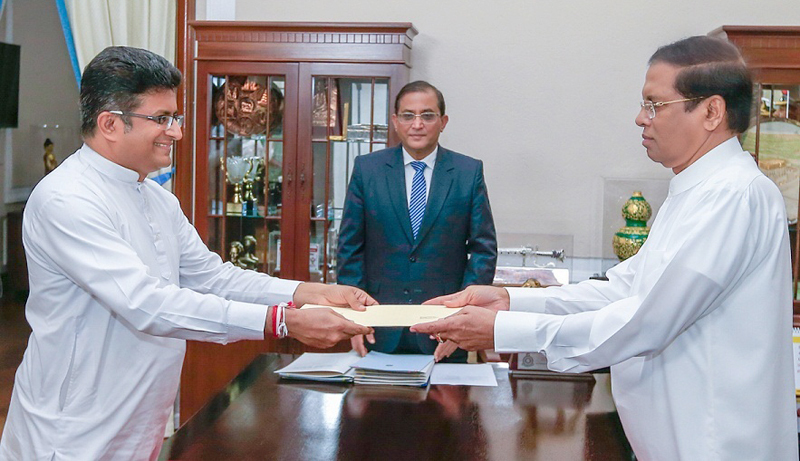 Ratnayake, (Posts and Telecommunications), Udaya Gammanpila, (Buddha Sasana and Religious Affairs), S.M. 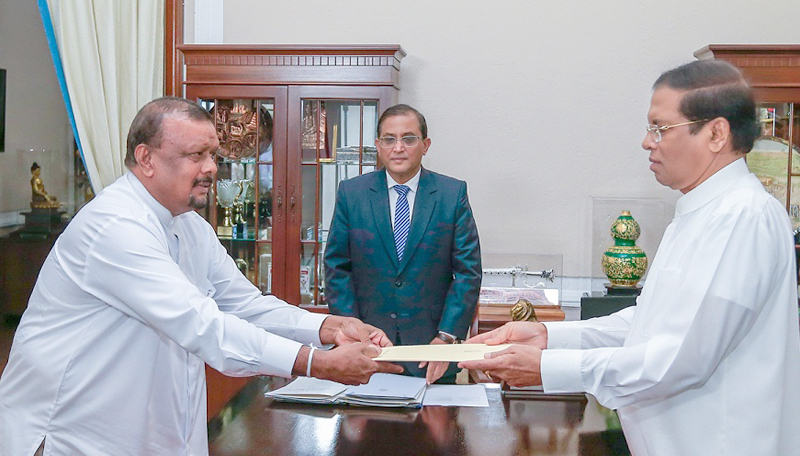 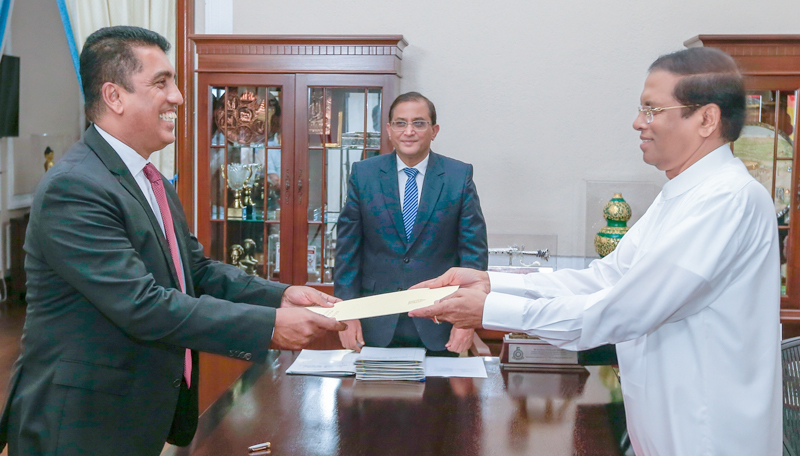 Chandrasena, (Plantation Industries), Johnston Fernando (Commerce, Consumer Affairs and Christian Affairs), Gamini Lokuge (Labour, Foreign Employment and Petroleum Resources and Mahinda Yapa Abeywardena (Industry and Commerce). 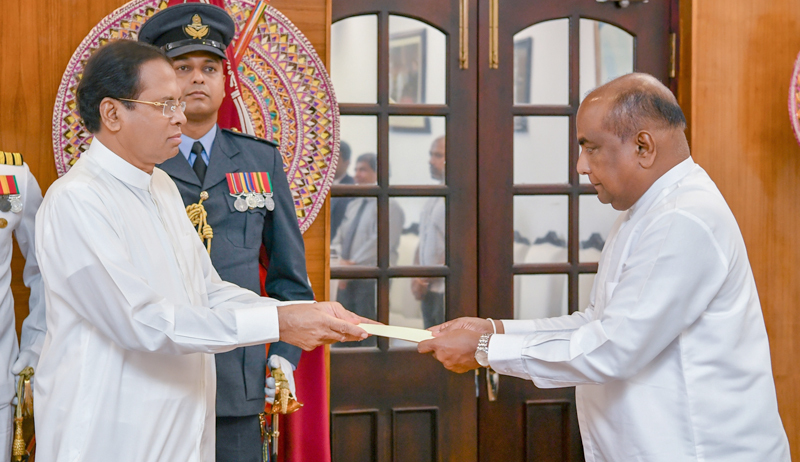 Pictures by Nissanka De Silva.